In this Instructable, I will walk you through the steps to build an Precise Air Quality monitoring system. Temperature & Humidity sensor DHT 11/22. Arduino Uno takes data from the sensors and does the calculations so you can see real time values of the data. Arduino Uno R3 supports 8 analog data inputs, so the at least 8 gas sensors can be interfaced and with them almost every gas that is found in residential areas. With Arduino Mega you have 16 analog input pins,so more interfacing can be done. In this Instructable I will show you how to interface these sensors. Note : If you like this instructable, do vote for me under the Sensor and First Time Author challenge. Purpose : I wanted to monitor the air in my surrounding area with their concentration (ppm) values . But there was no article which could give ppm values of various gases. So, I made a full working model which displays values of various gases in ppm. GP2Y1010AU0F is a dust sensor by optical sensing system. An infrared emitting diode (IRED) and an phototransistor are diagonally arranged into this device. It detects the reflected light of dust in air. Especially, it is effective to detect very fine particle like the cigarette smoke. In addition it can distinguish smoke from house dust by pulse pattern of output voltage. Before using MQ sensors you need to apply Vcc for about 24 hours. Also, using extreme values of resistors can decrease your accuracy and efficiency of the system. I have used 10 kohms resistors throughout. Some datasheets use the term "preheat", but it is the time to burn-in the sensor. This is meant to make the sensor readings more consistent. A time of 24 hours is usually used for the burn-in time. The Burn-in is achieved by applying normal power to the sensor (to the heater and with the 'A' and 'B' pins connected, and with a load-resistor). The sensor needs a load-resistor at the output to ground. It's value could be from 2 kOhm to 47 kOhm. The lower the value, the less sensitive. The higher the value, the less accurate for higher concentrations of gas. The preferred wiring is to connect both 'A' pins together and both 'B' pins together. It is safer as well as gives more reliable output results. In the picture 2, the heater is for +5V and is connected to both 'A' pins. This is only possible if the heater needs a fixed +5V voltage. The variable resistor in the picture is the load-resistor and it can be used to determine a good value. A fixed resistor for the load-resistor is used in most cases. The Vout is connected to an analog input of the Arduino. Connect analog input pins at A0,A1,A2,A3 pins of arduino. The DHT11 and DHT22 have 4 pins.You can use anyone of those. Whichever fan you buy, Pay attention to specifications of the fan. Voltage at which it operates. 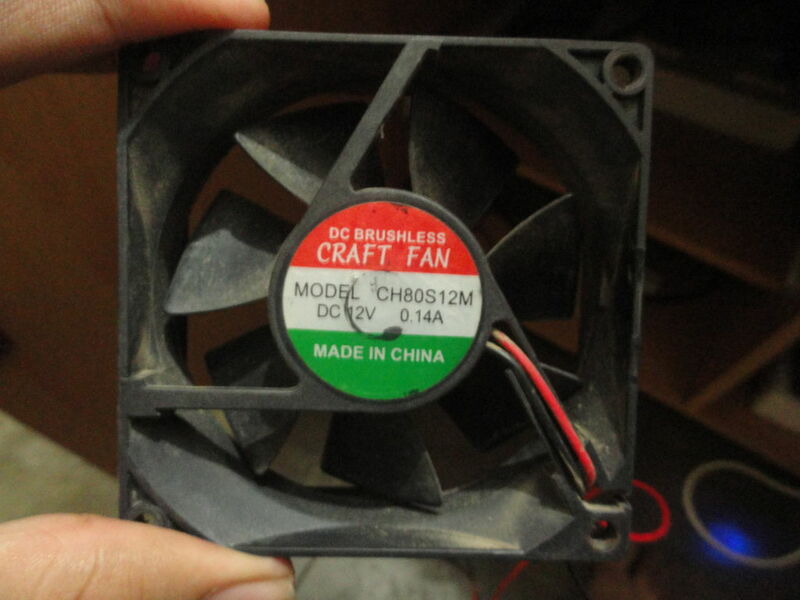 So make sure to give it 12V supply and look that only 0.14A current is passed through else, the fan may get damaged. Make a square hole through it at one end. At other make small holes so that the gases are thrown out of the other end. I would suggest you should code on your own.This would make your understanding better. Code is pretty much documented. The values are plotted on a semilog paper, as you can see the values indicate 100......1000.....10000 ppm. These values when plotted on a normal graph would represent a curve like an exponential one. So you need to use those values as in your code. If any problem comes up, I am here to help. My first attempt at interfacing all sensors didn't work properly, LCD screen would often fade out. But it turned out that it was due to some loose connections.Look out for those if the LCD fades out, there is often some problem with connection of resistors. In further versions you could send the data directly to PC and make a log out of it. If you wish to display the data on Serial Monitor of Arduino I will attach the second code here. There you go, now you have your own pollution monitoring system. You can sense the your surroundings' air quality. Have fun with it. Hope you like it. I have one question. If I want to add more sensors with different bits per second for serial data transmission, such as 9600 and 115200. How can I write the code? It will be like this serial1.begin() and serial2.begin()? Thank you. what about the calibration? how do you know whether the values measured are correct? Try burning something, like in the video. If value change, you have calibrated properly. Arduino will take care of that. Take a look at the connections above. Hope this helps. ESP 8266. I was busy with other work, sorry for late reply. U r project is cool..I am doing it. I am new to the gas sensors and did a simple text with MQ - 9 gas sensor. they are ppm values ryt ??? I was bit confused. give me clarity. I can help you better after taking a look at the code. However, by looking at the values I guess they are just the analog output values given by the arduino. To get ppm values, you should take a look at the datasheet of the corresponding gas sensor (in this case MQ 9) or can also take help from the code I attached above. Yes!! That's what I've been trying to do!! Trying to send the data, for now to my computer and storing it. Maybe, in sometime it'll be complete. That music in MQ sensor video, that's amusing. Hey, I noticed that now. That's sound of TV running in background. Thank you for bringing that into notice and also for your kind words ! Hey, can you explain how actually gas sensors work?? Sensitive material of gas sensors is SnO2, with lower conductivity in clean air. When target pollution gas exists, the sensor’s conductivity gets higher along with the gas concentration rising. The graph I included in step 9 gives Rs/Ro vs ppm ratio explains this part.